Art is long,life is short. I completely agree with this quote,because it is so true. the work of an artist can go on for many generations even after the death of him or her. 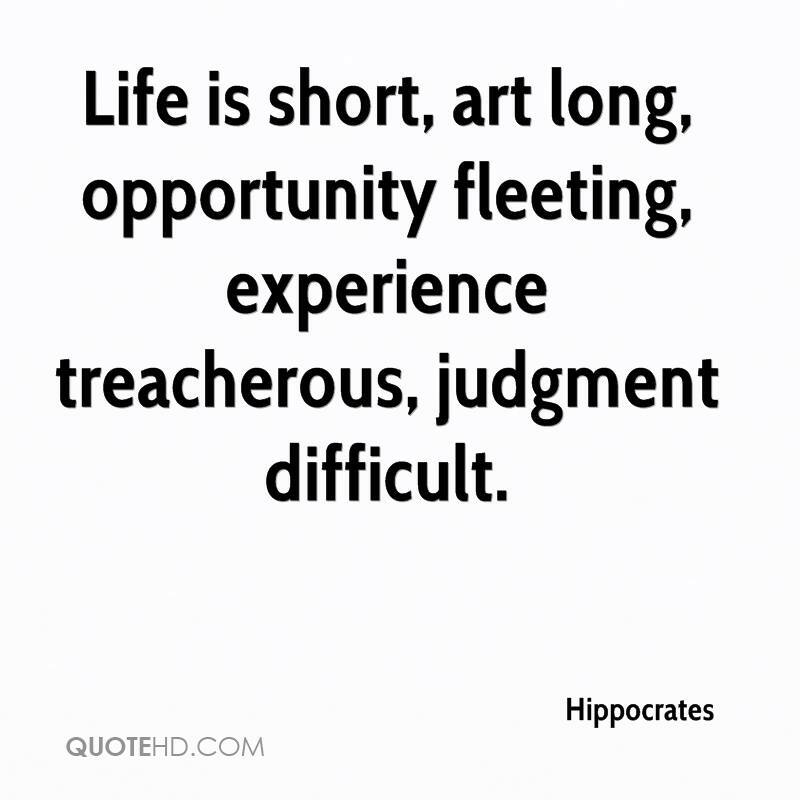 life seems so incomparably short to great art.From tha Latin "art" referred to in the original aphorism was the craft of medicine, which took a lifetime to acquire.